Why Regulators NEED Blockchain. Especially China. I used to hate Bitcoin. I still sort of do because I didn’t get rich on it, but Bitcoin is like the Yoda of blockchain, so I have respect. Long before price speculation became the story, I had it in my mind that Bitcoin was just a group of rogue programmers that created a currency for the dark web. Cocaine and stuff. So I dug in. It’s an amazing technology. Our existing money system is archaic; full of promises that my bank will give your bank money. Throughout China, everything is paid by QR code on phones with Alipay and WeChat Pay, but those QR zaps are simply a promise submitted to each others banks. The blockchain kernel, Satoshi Nakamoto, figured out a way to actually exchange digital assets and created Bitcoin. It cannot be copied or forged. No promises to break. The technology has been proven. The concept of blockchain is so elegant, and it was right under our noses. 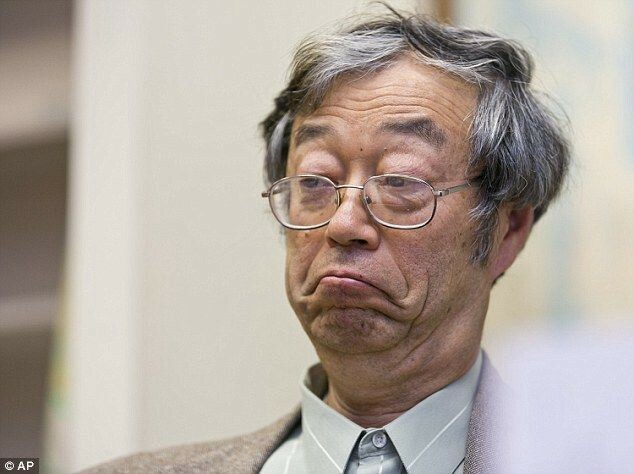 I’m pretty sure Satoshi Nakamoto was a bored alien that felt like throwing a bone out for fun, and he never actually had to show up. The whole concept of blockchain delivered the big ‘ah-ha’ moment when the concept of smart contracts kicked in. Mind. Blown. Are you kidding me? A decentralized immaculate ledger that is immutable, real time, and transparently shared by the world? Decentralized Applications (dApps) that would interface this ledger with use cases that we can’t even imagine yet. A blockchain currency that actually has utility. A currency that enables dApps. Bravo Vitalik Buterin, bravo. A few things about institutional capital markets really bugged me. One thing was the amount of effort that went into clearing and accounting. Equity trades took 3 business days to settle while in the bowels of a clearing firm. Blockchain provides immediate possession at the time of the trade. But efficiencies aren’t exactly why regulators get behind a new technology. It was only after I thought about OTC derivative trades was the moment I first realized that regulators would have to take notice. These trades are basically a bet that two firms can make with each other. A trader can bet anything they want, if they find a counterparty, and it has a known settlement date. In the interim, particularly at the end of each month and especially at the end of the year, any open bets need to be revalued based on current circumstances. This is where OTC derivatives start to stink. There are no mechanisms in place to ensure that each party’s trade is marked the same. Each firm has their own ledger. A firm can essentially mark their own book. Not to mention the credit worthiness of the counterparty and the effect to margin requirements. Before it settles, both sides can make money on the trade and gain leverage until it’s time to settle up, and then just sign up for another one. It is so messy. Warren Buffet famously referred to these OTC derivatives as ‘financial weapons of mass destruction’. 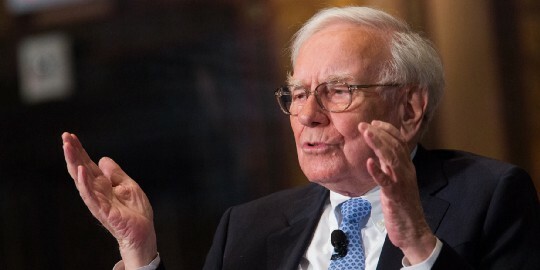 A decentralized immaculate ledger that is immutable, real time, and transparently shared by the world just may have mitigated some of Warren Buffet’s fears and with proper implementation, could have avoided some financial catastrophes in the past. With blockchain, you can’t just promise that value exists, value actually needs to be there. I believe that in the future, Enron and Madoff type fraud will be all but impossible because of blockchain. 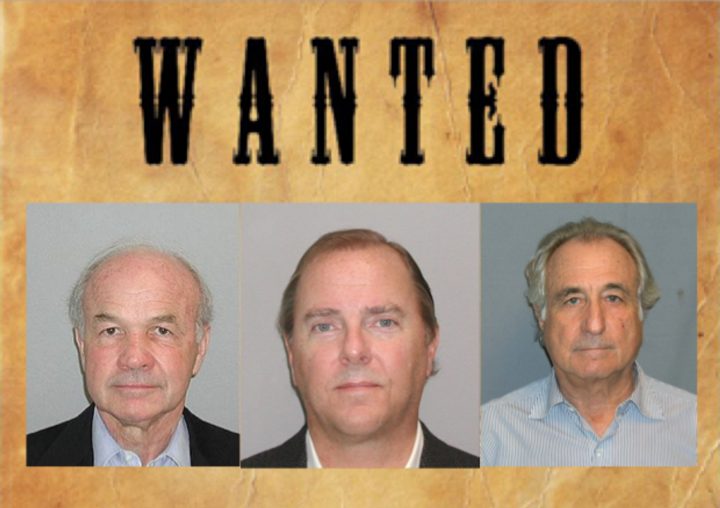 Ken Lay, Jeff Skilling, and Bernie Madoff will look like train robbers from the ‘ol West. Imagine what blockchain has to offer for tax compliance. I pay my taxes, and this what I think is coming. For the good guys, tax rates will reduce because of an increase in compliance from the bad guys. I can imagine that non-transparent currencies with ring encryption technologies will not be a widely accepted currency as regulators will surely throw sand in their gears. For some people, this is really starting to stink. This is centralized control. Exactly what that band of rogue of programming dark webbers were trying to escape from. Satoshi is probably turning over in his alien space pod right now. Or maybe, just maybe, he’s laughing like a creepy overlord in a black helicopter rubbing his hands together. “The plan is woooorking”. Either way, for those that can stomach the idea government might actually act in good faith, the technology has extraordinary potential to swing the pendulum for efficiencies and compliance. NEO is not the Ethereum of China. NEO is part of the evolution of smart contract blockchain technology. The founders have structured their technology with quite a bit of consideration toward disciplined growth into a truly decentralized and scalable consensus mechanism. This allows flexibility while it is being developed and in the future, NEO’s system has no risk of hard forks. As the international economy migrates toward and grows on the blockchain, just imagine the consequences of a hard fork. A hard fork is the epitome of centralized interference and needs to be a consideration for all members of the ecosystem to ensure future stability, including the regulators. With a philosophy of compliance, NEO has taken steps to be the first to develop a ‘smart economy’. The NEO mainnet has been in place for almost a year and half and the ecosystem is gaining critical mass. 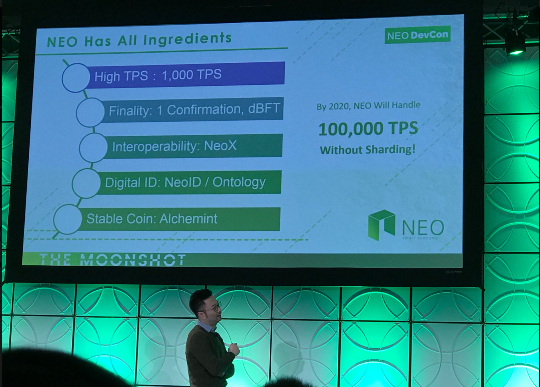 Founder Da Hongfei has said that he expects NEO to be the number one blockchain by 2020, and will have 100,000 TPS without sharding, all on the main chain. Crypto trading has been totally and completely mental. Regulators are applying the brakes. Can you blame them? This is what they were hired to do. Phishing scams, ICO scams, Bitconnect (whatever scam that’s called), insider trading, pump and dumps, the list goes on. China systematically pulled the e-brake on ICOs and access to exchanges. Fine. Look past the speculation in coin trading and look at the technology. They don’t need access to this madness before it gains stability in order to gain the regulatory benefits of blockchain, the largest being tax compliance and digital identity. So why wouldn’t China build a national blockchain? That’s called a database. It’s centralized and all the benefits trust and immutability are gone. It does not work in a global economy. China citizens have quite a bit more capitalist opportunities than most people realize. The middle class is gaining wealth extremely fast. China did not nationalize Baidu, WeChat, JD.com (Equivalents of Google, Facebook, Amazon respectively). Both Alibaba and Tencent are valued at over $500b. These were not nationalized. Over the last four years, I have spent more than half my time doing business in China. I have seen first hand they are fiercely loyal to their own brands and everyone, including the governing members of the PRC want to see their own private brands succeed globally. NEO is a decentralized blockchain, but the development is managed out of Shanghai, China. This is the team that the government of PRC is consulting with from the private sector to better understand the technology. NEO is not only positioned well globally, but it’s really the only decentralized network that currently has a chance at gaining regulatory approval for onboarding the Chinese economy. The global regulatory crypto noose continues to tighten, and we may be waiting for the other shoe to drop in the US. In fact, we should count on regulatory protections around scams and insider trading. Albeit may not be very effective regulation, but this is a regulators job. The technology is in place, the ‘smart economy’ ecosystem is populating, and this part is a regulator’s dream.